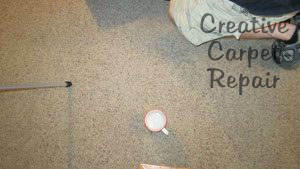 Did your kitty, doggy, birdie, piggy or other pet try to dig its way out of the room? 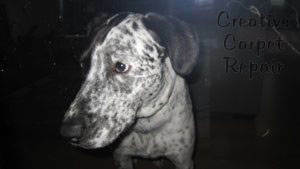 Pets…we love them to pieces and yet…we are reminded every one in a while that they might just not want to stay where we want them to stay…bless their little hearts. 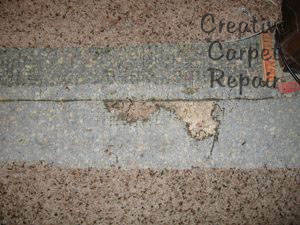 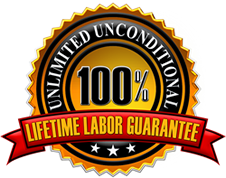 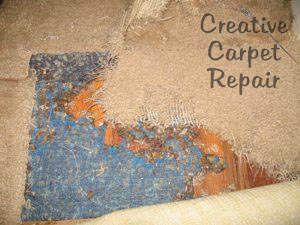 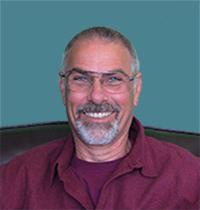 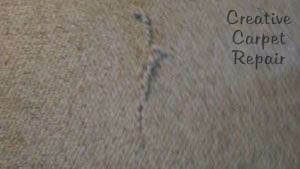 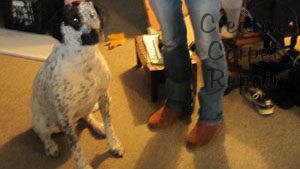 We get calls to repair carpet damage from dogs and cats than practically any other cause of carpet damage. 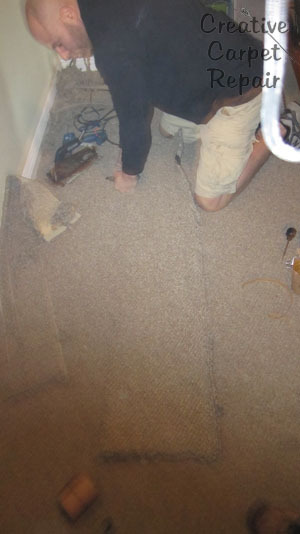 We’ve also seen damaged carpet due to rodents, birds and even a pot-belly pig one time! 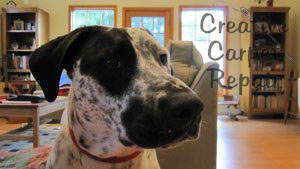 If you shut your dog or cat in a closed room, they may try to dig their way out via the door due to separation anxiety…or they just don’t want to be left in the room! 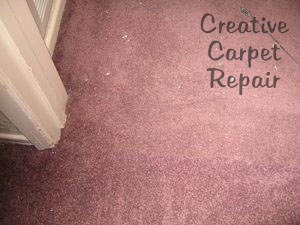 When this happens, first, please don’t blame them…they were just scared or lonely, and second, you will more than likely need to patch the carpet in order to make it look decent again. 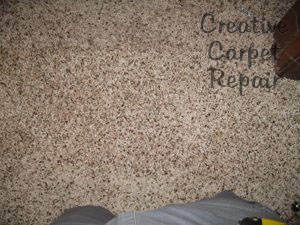 If you have some extra carpet from the original installation, we can use it for the carpet patch. 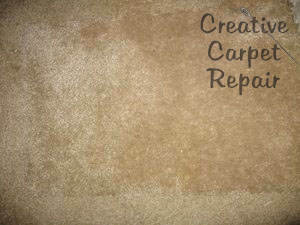 If you don’t have any left over carpet, we can also take a piece from a closet or under a piece of furniture. 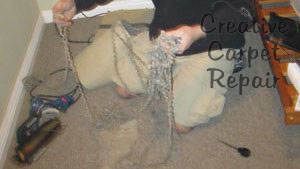 The other gift that animals like to leave us is, well, let’s just say it can be rather unpleasant. 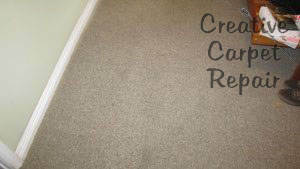 When a dog urinates on a carpet, you can often have the carpet cleaned and just replace the padding. 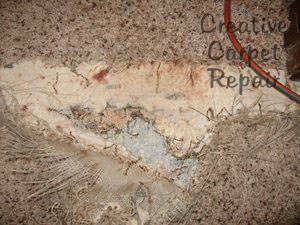 When a cat urinates on a carpet you have no choice but to cut the urine stain out along with the padding and clean the floor below it. 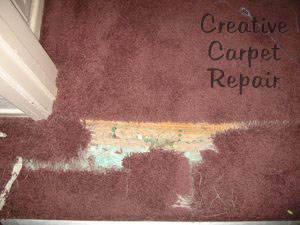 Cat urine will never stop stinking until you replace the carpet and pad. 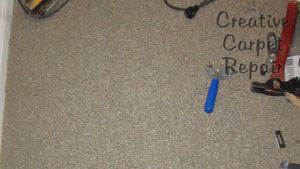 There are a couple of good products on Amazon you can use to clean the wood or concreted floor under the carpet pad. 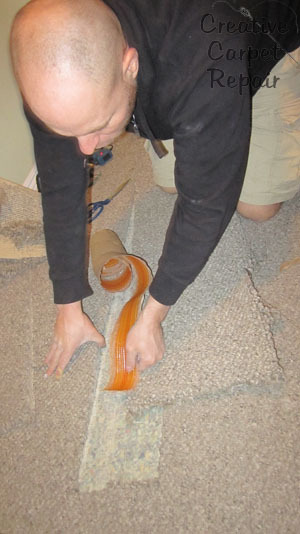 In the picture to the left, you can see Alan Hernandez holding up the carpet that we used to make the carpet patch with. 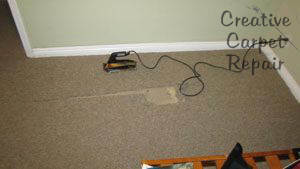 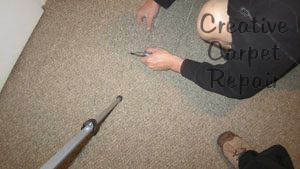 The special tool we use for this carpet patch is called a Patch Master. 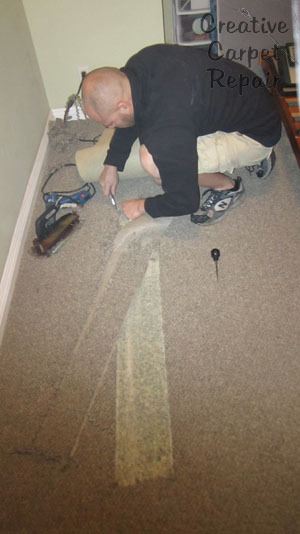 Can you see the patched carpet next to the Patch Master?